We provide technical and commercial real estate consulting services. We work with our eyes set firmly on your success and will remain your trusted partner. Transparency, cost security and the on-schedule completion of high-quality projects are “business as usual” for us. BRAND BERGER is built on a foundation of long-standing experience in the field of technical due diligence. We also provide both institutional and private investors, banks, insurers, builder-owners, portfolio managers and users with comprehensive technical advice on all issues encountered during the property life cycle. Our technical controlling services are characterized by conscientiousness, thoroughness and reliability and see us assume responsibility for the fulfilment of periodical monitoring and reporting tasks within the framework of development projects. Targeted, effective project management and project lead is another key element of our service portfolio. BRAND BERGER experts and in-house MEP specialists have already delivered successful solutions within the framework of well over 2,000 real estate consulting projects. Our comprehensive expertise, commitment, lots of passion and proven reliability ensure the success of your real estate projects. Preparations for real estate transactions, the management and execution of real estate assessments and the supervision of the transfer of rights and obligations between vendor and buyer require the expertise of specialists with both extensive knowledge and long-standing experience. The BRAND BERGER team specializes in this complex area of activity both construction and MEP and can already look back on many years of cooperation and joint success. These strengths ensure the delivery of consistently high-quality services in an increasingly challenging sector – and have gained Martin B. Berger, Sebastian Brand and their team a strong reputation throughout the real estate market. This involves a comprehensive project analysis to evaluate the contractual target in terms of the scheduling, cost and quality targets to be achieved. The extent to which parameters are still within the required range and capital is being used as agreed is monitored throughout the project. In the event of deviations, we will provide you with clear recommendations on countermeasures. In this scenario BRAND BERGER assumes responsibility for the controlling and the management of your project, fulfil all project organization tasks and ensure adherence to defined costs, schedules and qualities. Our brief can naturally be expanded to include other services at any time. All BRAND BERGER experts are not only experienced project controllers and project managers but also enjoy an excellent reputation at a range of banks, insurers and real estate investment firms. In addition to our methodological expertise we also draw on a wealth of construction and MEP experience in the management of complex projects – thus enabling us to generate vital added value for both you and your partners. In addition to technical due diligence and technical project controlling or project management, BRAND BERGER experts are your reliable consultants in a wide range of technical advisory, sustainability guidance, investement analysis and strategy consultancy. The services described here represent just a few of the ways in which we create added value. This wide field of possible applications enables BRAND BERGER to deliver nothing but the highest quality inintegrated, sustainable solutions – we take responsibility for your projects and properties throughout all phases of their value-added chain! Civil engineers, architects, industrial engineers, real estate economists, MEP experts, geographers, facade technicians, urban planners, sustainability assessors and technical advisors. BRAND BERGER real estate consultants are highly qualified, have years of professional experience and enjoy an excellent reputation throughout the real estate sector. Felix Sacksen graduated with a BA in Architecture from the RheinMain University of Applied Sciences in Wiesbaden in 2014. Having gained extensive project management experience while working at a firm of architects in Wiesbaden during his studies, Felix began his professional career as a Project Manager at Preuss GmbH in Munich in 2014. Two years later he moved to Hitzler Ingenieure, where he supported prestigious developers in the realization of their projects in the role of Project Leader. BRAND BERGER welcomed Felix as a Consultant in 2018. He looks forward to successfully tackling a range of tasks in the fields of project management, corporate real estate management and controlling. Sophie Peter studied Civil Engineering at the Technical University of Munich (Germany) before gaining a Master of Science in Civil Engineering at the Chalmers University of Technology in Gothenburg (Sweden) in 2012. She rounded off her studies with a further master’s programme in Civil Engineering at the Technical University of Munich in 2014. Sophie began her professional career at a firm of experts in Aachen. In addition to the surveying of structural damage and structural biology, her work primarily focused on property valuations for banks, project developers, investors and family offices. Sophie joined BRAND BERGER as a Consultant in 2016. Her main responsibilities are technical project controlling and the provision of support to our clients within the context of transactions and property valuations. Toni Ser completed his vocational studies in 2011, graduating with a bachelor’s degree in Construction Engineering - Façade Technology from DHBW Mosbach and the Open University in Milton Keynes (UK). He went on to gain a Master of Business Administration in Industrial Engineering from Karlsruhe University of Applied Sciences, where he specialized in the construction sector. Having already gained a wealth of specialist experience in the field of façade technology at TREFZ GmbH and aluplast GmbH, Toni’s decision to move to AECOM Deutschland GmbH in 2013 enabled him to continue his successful project management career in an international context. Toni has been a Consultant at BRAND BERGER since 2016. His main areas of focus are project management and controlling. Agnieszka Karolczak studied at the WSB University (Faculty of Finance and Management) in the Polish city of Wrocław, graduating with a bachelor’s degree in Management & Business Administration in 2008. Having started her professional career at BHW Postbank Finanzberatung in Munich, in 2010 Agnieszka moved to 2Net IT GmbH in the role of Office Manager responsible for actively supporting the firm’s managers and project team. In early 2014 she was appointed Assistant to the Branch Manager at engineering firm ZWP Ingenieur AG in Munich, where she expanded her areas of expertise to include project controlling. 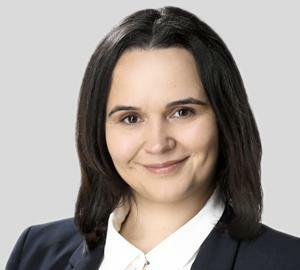 Agnieszka joined the BRAND BERGER team as an Office Manager and Controller in 2019. Thomas Heppe qualified as an HVACR engineer in 2000 before gaining a degree in Building Technology at Biberach University of Applied Sciences in 2004. He completed his academic career as a graduate Industrial Economist at the Technical University of Munich. Thomas started his career as a Project and Division Manager at Imtech (2004-2014), where his main areas of focus were project planning and energy efficiency. In 2014 he moved to Drees & Sommer as a specialist in technical economic controlling. 2017 saw him take over the management of MEP planning at Seidl & Partner, and in 2018 he was appointed Munich Branch Manager at ZWP Ingenieur AG. BRAND BERGER welcomed Thomas Heppe to its specialist MEP Consulting Team in 2018. As a Senior Consultant he is responsible for providing technical advice on all building services. Eva-Maria Ullrich studied Business Economics – specializing in Real Estate Economics – at University Regensburg and the International Real Estate Business School IRE|BS. Her strong profile is rounded off by specialist knowledge in the fields of real estate development and economics. Sebastian Brand studied Architecture, Urban Planning and Real Estate Economics in Germany, China and the USA. He began his career in 2001 as an architect with both planning and site management responsibility for a wide range of projects involving both existing and new buildings. In early 2008 he was recruited to the role of Real Estate Economist by Drees & Sommer in order to strengthen the firm’s real estate consulting activities. Sebastian Brand has been a full member of the internationally renowned Royal Institute of Chartered Surveyors (RICS) since 2012. He is also a registered member of theBavarian Chamber of Architects (reg. no. 185.679). Sebastian Brand is married and lives with his wife and son in Munich. Together with Martin B. Berger he is the owner and managing director of BRAND BERGER. 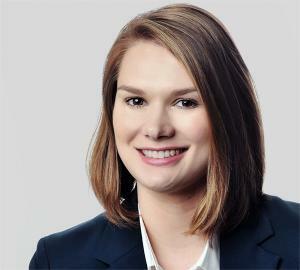 Sabrina Hild studied Geography at the Friedrich Alexander University in Erlangen-Nuremberg until 2012 before gaining a Master of Science in Real Estate Economics at the International Real Estate Business School (IRE|BS) in Regensburg in 2015. 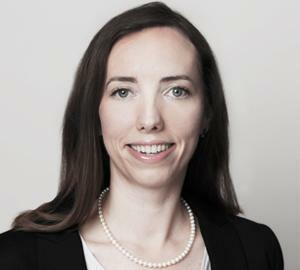 After gaining initial practical experience in the fields of real estate consulting and asset management at firms including Savills (Berlin) and GRR (Erlangen), Sabrina strengthened the Real Estate Consulting team at Drees & Sommer’s Munich office upon her arrival as a Project Manager in early 2015. Sabrina has been a Consultant at BRAND BERGER since 2016, and uses her real estate expertise in areas such as technical due diligence, property valuation and technical project controlling to successfully fulfil our clients’ demanding requirements. 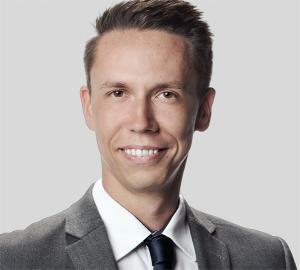 Michael Fischer is a graduate architect and gained experience at architects from 2001 onwards. After planning and site management of residential developments and healthcare projects he switched to real estate management in 2007. From 2008 Michael worked for a Munich-based international fund initiator. As a Technical Asset Manager, he was responsible for a portfolio of office, logistics, retail and hotel properties and transaction processes. 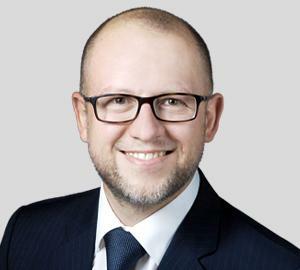 He also led a number of restructuring and development projects around Europe. BRAND BERGER welcomed Michael as a Senior Consultant in 2018. His main area of focus is the delivery of consultancy services within the context of project controlling assignments and real estate transactions. He also advises our clients on all issues they face as tenants or lessors. 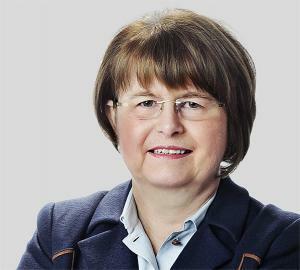 Birgit Steger took a vocational degree split between academic study at Baden-Wuerttemberg Cooperative State University (DHBW) and workplace training at the Bavarian bank BayernLB. 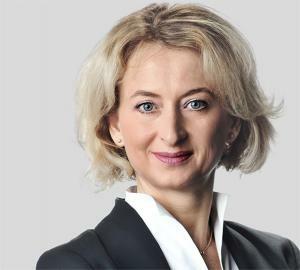 After graduating in Business Administration (Specialty: Banking) in 2004 she went on to train as a qualified banker at the IHK before joining Hannover Leasing as a specialist in asset management and the restructuring of closed real estate funds. Birgit strengthened her knowledge in the field of real estate by taking an IHK distance course which saw her qualify as a Real Estate Professional. 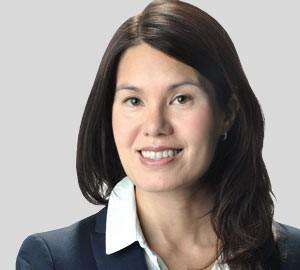 In 2014 she joined the Investment Advisory division at Duff & Phelps REAG. Birgit joined the BRAND BERGER team in 2019. Her main area of focus is transaction support, and in particular data room management. Rüdiger Brunschlik studied Hydrogeology and Engineering Geology in Munich before graduating as an Industrial Engineer in Kaiserslautern. A certified expert in the valuation of built and unbuilt properties and the assessment of soil contamination, from 1994 onwards Rüdiger worked for Sakosta Euro Consult and HypoVereinsbank AG in Munich. In 2004 he joined AMEC Earth & Environmental, where he specialized in real estate consulting and held the roles of Branch Manager and Authorized Signatory. In 2012 he was recruited by Duff & Phelps REAG to set up the firm’s Munich office. 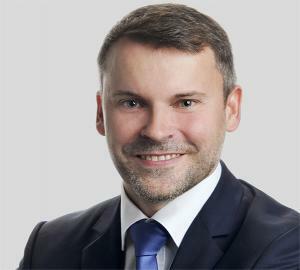 BRAND BERGER welcomed Rüdiger as a Senior Consultant and Head of Transaction Advisory in 2018. His main areas of focus are technical due diligence, project controlling and the establishment of data rooms for property transactions. Christina Jao completed her apprenticeship as a hotel manageress in Essen (Germany) before embarking on an international career at the prestigious London Hilton on Park Lane hotel (UK). Christina switched to the real estate sector in 2006, soon assuming responsibility for the administration of large residential portfolios. In 2013 she joined Drees & Sommer’s Munich office, where she supported the Real Estate Consulting division in her role as a Project & Team Assistant. Christina has been an Office Manager as well as an active Project Assistant at BRAND BERGER since 2015, and is primarily responsible for assisting the firm’s managing directors. Doreen Heinzelmann studied Civil Engineering at Biberach University of Applied Sciences (Germany), and can already look back on 20 years of success in the real estate sector. In 2008, she gained her MBA – specializing in International Real Estate Management – from Bauakademie Biberach, Institute of Real Estate Management in Zurich (Switzerland) and Southbank University in London (UK). 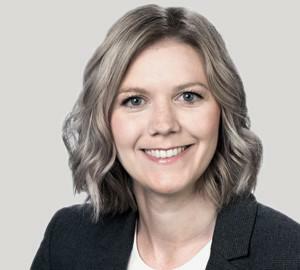 Having begun her career at Hochtief AG in Stuttgart, Doreen later joined Drees & Sommer, where she held the roles of Project Manager, Senior Project Partner and Team Leader in the Real Estate Consulting division before moving on in 2016. BRAND BERGER welcomed Doreen as a Senior Consultant in 2017. Her main areas of focus are financial and investor controlling and the project management of real estate developments and construction projects. Mirko Kirch graduated from the Karlsruhe Institute of Technology with a BSc in Civil Engineering before gaining an MSc in Civil Engineering (specializing in Construction Process Management, Massive Construction and Project Development) from the Technical University of Munich in 2018. A variety of roles in the construction sector both in Germany and overseas have enabled Mirko to gain wide-ranging experience and develop his expertise in the fields of project and site management. Working on behalf of developers and contractors alike, he has successfully tackled a variety of tasks in connection with turnkey properties, hospitals and industrial buildings as well as rail and roadbuilding projects. 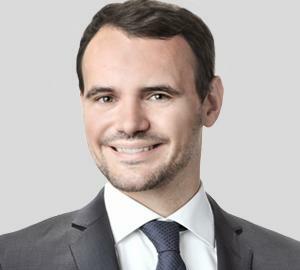 Mirko joined the BRAND BERGER team as a Consultant in 2018. His main areas of focus are project management, technical project controlling and technical project monitoring. Dr.-Ing. Monika Fischer completed her degree in Processing Technology for Construction Materials in Weimar in 1977. She combined her subsequent doctoral studies with a role as a research associate, and gained her doctorate from the HAB Bauhaus University in Weimar in 1982. Monika began her professional career at CBP Cronauer in 1992, where her work focused on the planning of building services. She was appointed Head of Division for Heating / Aircon / Ventilation in 1993. Her move to Drees & Sommer’s Munich office in 2002 was followed by 15 years as Head of Technical & Commercial Controlling. BRAND BERGER welcomed Monika as a Senior Consultant in 2017. Among other responsibilities, she is currently establishing a team specializing in HVACR consulting and technical controlling. Jan Rokicki studied Sociology at Leipzig University before gaining a degree in Industrial Engineering (Facility Management) at the Anhalt University of Applied Sciences in Dessau in 2004. Having begun his career in Munich at architects Schnell & Partner, he went on to join Dr. Sasse Facility Management as an Account Manager with nationwide responsibility for the Microsoft Deutschland GmbH account and all facility services. 2010 saw him move to AECOM, where he held the role of Account Manager for Telefónica Germany before being appointed Operations Director in charge of HR, IT, Operations & Projects in 2013. 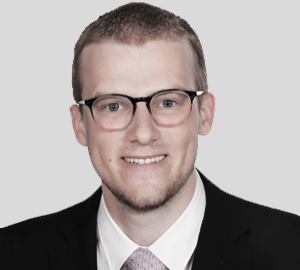 BRAND BERGER welcomed Jan Rokicki as a Senior Consultant in 2015. His professional experience and expertise enables him to successfully tackle a range of tasks in the fields of project management and controlling. Angela Jao completed a degree in East Asian Studies at the Gerhard Mercator University in Duisburg (Germany) in 1999 before gaining a Master of Arts in Pacific Asian Studies at the University of London (UK) in the year 2000. Angela started her professional career as a Senior Market Researcher at the London-based firm Datamonitor plc in 2001. She subsequently relocated to Switzerland, where she was a Project Manager at ALSTOM Ltd and Ernst & Young AG. Her last role before joining us saw her gain further international experience as an International Sales Executive for the German-speaking area, Asia and Eastern Europe at Quick SpA in Ravenna (Italy). Angela has been an Office Manager at BRAND BERGER since 2016. Bernd Obermeier qualified as an electrician in 1987. After gaining 2 years of professional experience and spending 8 years with the German armed forces, in 1998 he qualified as a state-approved electrical engineer specialising in automation technology. From 1998 to 2012 Bernd was head of department responsible for measuring, control and regulation technology at Neuberger-Anlagen-Technik AG. In 2012 he joined PORR GmbH, where he focused on calculation and specialist site management. From 2016 onwards his career took him to Drees & Sommer as an expert in measuring, control, regulation technology and electrical engineering - appointed the firm’s Head of Technical Consulting & Controlling. 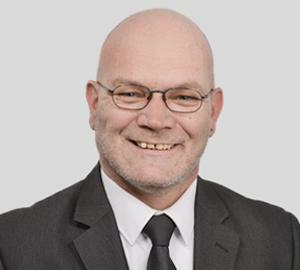 BRAND BERGER welcomed Bernd to our Technical Advisory team as a Senior Consultant in 2019. His main area of focus is the delivery of specialist consulting in connection with building services. Genoveva Graff studied Architecture at TU Wien, where she graduated from the Institute of Architecture and Design under Prof. William Alsop in 2007. She has been a member of the Bavarian Chamber of Architects since 2010. Having already enjoyed success in a number of project and site management roles specializing in the construction of airports and hotels, from 2011 onwards Genoveva was the Managing Director of a general contractor and oversaw the planning and construction of a range of buildings. In 2016 she joined Duff & Phelps REAG, where her remit included construction monitoring and technical due diligence for both buyers and vendors. BRAND BERGER welcomed Genoveva as a Senior Consultant in 2018. Her outstanding expertise in the fields of technical due diligence and technical project controlling enables her to make a decisive contribution to our customers’ success. Fred-Rainer Rack completed a degree in Architecture at TU Berlin in 1972. 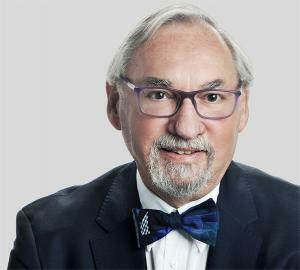 Rainer spent the start of a career now spanning four-and-a-half decades as a planner of large projects at Heinrichs and Partner (Berlin) and von Gerkan, Marg and Partner (Hamburg, both Germany). He went on to join Drees & Sommer GmbH in 1989, working out of the firm’s Hamburg, Cologne, Berlin, Frankfurt and Munich offices as a Project Manager, Construction Supervisor and Quality Controller for prestigious projects such as Potsdamer Platz, the Olympiastadion (both in Berlin) and the Infineon Campeon in Munich-Neubiberg. 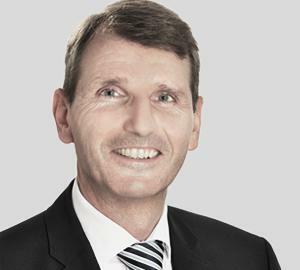 BRAND BERGER welcomed Rainer as a Senior Consultant in 2015. Our clients benefit from his wealth of experience in the fields of technical due diligence and quality controlling. Christin Böhme studied Housing and Real Estate Management at Zittau / Görlitz University of Applied Sciences. In 2016 she completed an in-study internship at Drees & Sommer Leipzig, where she was responsible for a variety of duties within the framework of the team’s project management activities. Further internships at BBF Baubüro Freiberg and work as a student temp enabled her to gain valuable practical experience in a range of areas. BRAND BERGER welcomed Christin as a Junior Consultant in 2018. She has already successfully tackled a range of tasks in the fields of technical due diligence and project controlling. Martin B. Berger studied Construction Engineering in Munich. Having begun his career at Boh Bros. Construction in New Orleans (USA) in 1997 he went on to join Kaiser Baucontrol in 2001. 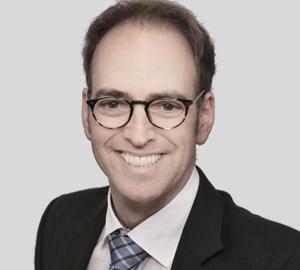 Martin B. Berger was recruited by Drees & Sommer in 2007 in order to set up the real estate consulting division at its Munich office, where he successfully held the position of the Managing Director for three years ending in the autumn of 2015. In addition to his technical and commercial expertise (he has been an EBS-qualified Real Estate Manager since 2013) Martin B. Berger is also characterized by his great commitment to sustainability. He has been an Energy Efficiency Expert since 2007 and a DGNB Auditor since 2009. Martin B. Berger is married and lives with his wife and four sons in Munich county. Together with Sebastian Brand he is the owner and managing director of BRAND BERGER. See what great expertise BRAND BERGER has to offer by browsing the reference projects. We always look for candidates with personality who share our passion for excellence, trust, responsibility and goal achievement – from team players and enthusiastic experts to career builders who are prepared to think outside the box (or would like to learn how). At BRAND BERGER all of these elements combine to provide a basis for successful cooperation, a wide range of development opportunities and a unique chance for employees to take an active role in shaping both their future and that of the firm. We therefore welcome applications from highly motivated candidates with outstanding qualifications whose potential and knowledge will be continuously developed and fostered as they take on increasing responsibility. At BRAND BERGER construction engineers, architects and industrial engineers with professional experience are given responsibility for key tasks right from the outset. Come on board if you are excited by the idea of taking on a fascinating role with outstanding development opportunities! We offer you the chance to play your part in the most prestigious projects in the real estate sector and work in an attractive professional environment characterized by a unique, dynamic working atmosphere in which goal-oriented teamwork and autonomous project responsibility will both challenge and inspire you. BRAND BERGER welcomes students and graduates in fields such as industrial engineering, real estate management, architecture, civil engineering and building services who are working their way through university or interested in gaining valuable work experience. Are you keen to start something big? Are you driven by a burning desire to not only find purpose in your work, but also gain maximum enjoyment from it? We offer you a workplace with a view of the Alps, a diverse range of tasks, fantastic projects and constructive mentoring. Twin benefits of a small team and big responsibilities! We look forward to receiving your application. The content of the BRAND BERGER website was drawn up with the utmost care and attention. We nevertheless accept no liability for the correctness, completeness or topicality thereof. Under the terms of § 7 para. 1 TMG we are legally responsible for proprietary content on this website in our capacity as website operator. Under the terms of §§ 8-10 TMG we are not obliged to monitor either any third-party data transferred or stored or circumstances which may indicate illegal activity. This does not affect obligations to remove or block the usage of such data where required. We are only able to accept liability in this regard once we have become aware of an actual legal infringement. This website also contains links to external webpages. We do not have any influence on the content of those webpages and therefore accept no liability for it. The respective provider or operator is responsible for the content of linked webpages without exception. Linked webpages were checked for potential legal infringements at the time of link creation and were found to include no illegal content. It would be unreasonable to expect us to undertake continual checks on the contents of external webpages without concrete evidence of legal infringements. In the event of such legal infringements coming to light we will delete the content/links in question without delay. The content created and published by the website operator is subject to German copyright law. Any duplication, editing, dissemination, sale thereof in violation of German copyright law requires the written consent of the respective author / creator. Photocopies and downloads of website content are permitted for private, non-commercial use only. Copyright held by third parties is observed in the case of any content not created by the website operator. Third-party content is identified as such. This notwithstanding we request notification of any copyright infringements you become aware of. In the event of legal infringements coming to light we will delete the content/links in question without delay. The BRAND BERGER website provides opportunities to retrieve or download copyrighted material on a range of topics free of charge. BRAND BERGER accepts no liability for the correctness, completeness or topicality of the content made available. All content represents the personal opinion of the respective author / creator at the respective time of writing/creation and is to be seen as general information; it is neither intended nor suitable as a source of advice on specific cases. Content was created with the aim of providing a supporting explanation or provoking the discussion of specific topics; it was therefore not created with the aim of providing definitive information on specific topics or as a substitute (whether in whole or in part) for advice on specific topics. The user is prohibited from reciting, performing, presenting, sending, duplicating, disseminating, modifying, broadcasting, renting out, making available for retrieval or interpreting (whether on image or sound storage media or as a radio transmission) any website content (including copy, images, audio, video and other files) for public or commercial purposes without written consent from the website operator. As a general rule it is possible to use our website without submitting any personal data (e.g. your name, address or email address). In instances where users are requested to submit personal data to this website we make every effort to ensure that submission is voluntary. Your data will not be passed on to third parties without your consent. Please note that internet-based data transmission (e.g. in the form of emails) is subject to security vulnerabilities. It is therefore not possible to ensure the absolute protection of data against unauthorized access by third parties. Third parties are hereby prohibited from using the contact details provided in the compulsory legal notice on this website to send out unsolicited advertising and / or information. The website operator reserves the right to initiate legal action in the event of the unsolicited receipt of advertising and/or information (e.g. in the form of 'spam' emails). Please email any questions regarding data privacy to datenschutz@brandberger.com or contact us directly: BRAND BERGER GmbH & Co. KG, Walter-Gropius-Str. 17, 80807 Munich, Germany, T +49 (0) 89 2314137-0. The aim of this Data Privacy Statement is to provide the general public with information on the most important aspects of the processing of personal data within the context of our business activities. Our website can be used without the processing of personal data. Personal data gathered through a channel other than our website is only stored and used in order to conduct business relations. Data is neither used for other purposes nor disclosed to third parties for other purposes. Your personal data is protected with the aid of appropriate technical and organisational measures. Our company reserves the right to amend this Data Privacy Statement where required in order to ensure that it complies with current statutory requirements and/or reflects changes to our services. We therefore request that you call up and read this Data Privacy Statement at regular intervals. Requests for information, blocking, deletion, revocation: Any person affected by the processing of personal data has the right to request and receive – at any time and free of charge – information on any personal data relating to them, its provenance, any recipients and the purpose for which it is processed. They also have the right to have their personal data corrected and/or completed or deleted with immediate effect. In addition, they have the right to revoke their consent to the processing of their personal data at any time. Such revocation does not affect the legality of any data processing that takes place prior to revocation. An informal email stating that you wish to revoke your consent will suffice. Right to data portability, storage period: Any person affected by the processing of personal data has the right to request and receive any personal data they have disclosed to the Controller in a structured, conventional, machine-readable format at any time. Insofar as the direct transfer of such data to another responsible person is requested this will only occur if it is possible with the aid of automated processes. Personal data is deleted as soon as the purpose for the processing thereof no longer applies. Data we store in accordance with consent issued by the affected person under the terms of Art. 6 (1) lit. a GDPR is deleted when the purpose for the processing thereof no longer applies or when the affected person revokes their consent. Data stored in compliance with statutory storage periods is deleted when the obligation to store it ends. Data privacy within the context of job applications and application procedures: We collect and process each applicant’s personal data for the purpose of completing the application procedure. Processing may occur electronically, especially if the applicant submits their application to us electronically, for example by email. If we conclude an employment contract with an applicant any data they submitted within the context of the application procedure will be stored in accordance with statutory regulations. If we do not conclude an employment contract with an applicant the data they submitted within the context of the application procedure will be deleted automatically within two months of receipt of notification that their application was unsuccessful insofar as deletion does not conflict with any other justified interests on our part. Other justified interests may, for example, take the form of an obligation to provide evidence within the context of proceedings instigated in accordance with the German General Equality Act (AGG). Right to lodge complaints with the supervisory authority: In the event of any data privacy violations the affected person has the right to lodge a complaint with the relevant supervisory authority. In our case, the relevant supervisory authority responsible for issues of data privacy is the State Data Protection Officer for the Free State of Bavaria (where our company has its headquarters).